Brendan Rodgers has denied having an interest in signing Danny Ings as the striker seeks a move away from Liverpool this summer. The Celtic manager had been tipped to join the race for his signature worked with the Englishman during his time in charge at Anfield. Their time together was cut short when Rodgers was sacked in October after a 1-1 Merseyside derby draw in which Ings scored. Ings went on to endure successive season-ending knee injuries, restricting him to just 25 appearances in the three years since his arrival from Burnley. It was recently revealed he is on the hunt for a new club in a bid to secure regular senior football and reignite his career. It is also understood that Burnley will not be trying to re-sign Ings, who scored 43 goals in 130 games during his time at Turf Moor. A Premier League move does, however, look firmly on the cards given apparent interest from both Crystal Palace and Newcastle. 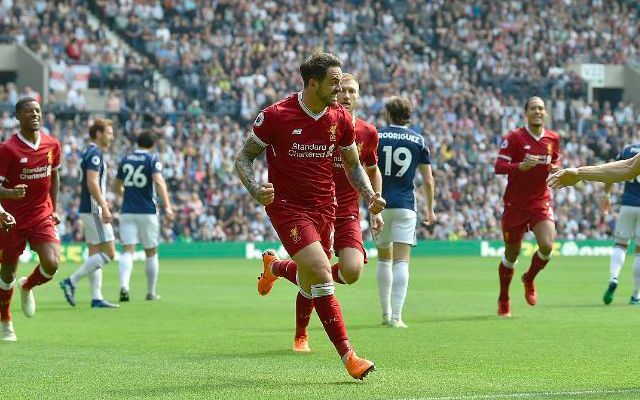 An encouraging second-half of the season saw Ings reintegrate with Liverpool’s senior squad, making his Champions League debut in the last 16 first-leg against Porto before scoring a first goal since 2015 in a 2-2 draw with West Brom. His sporadic role showcased the work ethic and dedication that had fuelled his manager’s loyalty to him during his torrid spells on the sidelines. With an obvious eye for goal, he could prove a bargain acquisition this summer.